The Green Bay Packers and the Buffalo Bills have an intriguing matchup in NFL Week 4 Action. The Bills stay on the road this Sunday in a second-straight matchup against the NFC North. 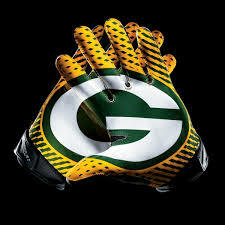 They a trip to Lambeau Field to face the Packers in a 1 p.m. start on CBS. BetAnySports has opened the Packers as 10-point favorites with the total set at 44.5 points. The Packers are now 9.5-point favorites. The total is not at 44. Buffalo was the top betting story in the NFL this past Sunday. They had a stunning 27-6 upset on the road against Minnesota as a heavy 16.5-point underdog. This followed two lopsided loss to Baltimore on road and the Los Angeles Chargers at home in its first two games. The Bills are 1-2 both straight-up and against the spread. The total has gone OVER in two of the three games at BetAnySports. Rookie quarterback Josh Allen ended the game against the Vikings with 196 yards passing and one touchdown throw. He completed 15 of his 22 passing attempts. Chris Ivory caught three passes for 70 yards while also leading the Bills in rushing with 56 yards on 20 carries. You can also credit Buffalo’s defense for the upset with an interception and two fumble recoveries. Green Bay has also failed to meet expectations as one of the top teams in the NFC North. They are at 1-1-1 SU and 1-2 ATS. The Packers needed a 28-point fourth quarter rally to get past Chicago in Week 1. They were seven-point home favorites. They had to settle for a 29-29 tie against Minnesota as slight 1.5-point underdogs at home. This past Sunday they were on the wrong end of a 31-17 loss to Washington. Linesmakers had them as 2.5-point road favorites. The total went OVER BetAnySports’ closing line in all three games. Aaron Rodgers has completed 66.4 percent of his first 116 passing attempts. That has totaled 832 yards and six touchdowns against zero interceptions. His mobility has been hampered by a knee injury he sustained against the Bears. The rushing offense has also been an issue with an average of 89 yards per game, which is ranked 24th in the league. Green Bay’s defense falls to 23rd in the NFL in average points allowed (27.7). The Bills have a ton of momentum on their side coming into Sunday’s game against the Packers. This is a team that has stumbled out of the gate in its first three games. That being said, I am still going to lay the 9.5 points and take Green Bay ATS at home. Lambeau is a place where it is still hard to get a win for even the best teams in the league. Get a 30% Bonus on Every Deposit at Top Rated BetAnySports Online Sportsbook!! !